Breastplate used in combat and worn by men on horseback or on foot, attached to the body with the leather straps through buckles on the back. Historically, this armor was produced in Italy by master gunsmiths Lombard, the armor is adorned with various reliefs on the sides and the central part of the armor armor typical of the fifteenth century. This armor is handcrafted in Italy, in polished or burnished and tailored to be specified when ordering. 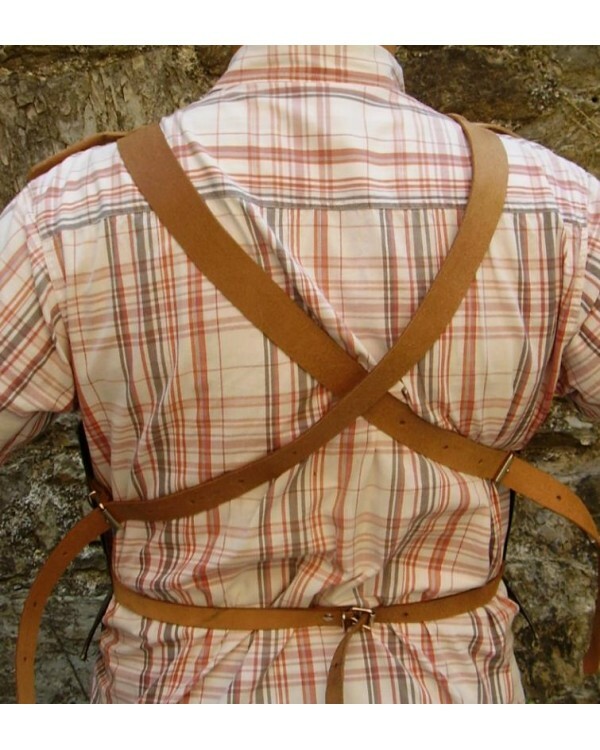 Made of steel with leather straps and buckles to be worn. - Circumference at the level of the breast. - Circumference at the waist. - Weight of the person. - Total height of the person.